In addition to the more than 80 million pounds of food provided by Indiana’s food banks to Indiana’s food insecure, many Hoosiers are also served by a number of federal nutrition programs that provide assistance to specific populations. The Supplemental Nutrition Assistance Program, formerly known as the Food Stamp program, provides benefits to qualifying households to afford an adequate diet and protect primarily low-income families, the elderly, and people with disabilities from hardship and hunger. SNAP also helps families to bridge temporary periods of unemployment or family crisis. The asset/resource limits are $5,000 for most households. Assets include bank accounts, cash, real estate, personal property, vehicles, etc. The household’s home and surrounding lot, household goods and personal belongings and life insurance policies are not counted as assets in the SNAP program. All households (except those with elderly or disabled members) must pass a gross income test (130% of poverty) to qualify for benefits. The gross income is per household size and based on the gross monthly income received by all household members. SNAP participants age 18 to 49 who are not disabled and do not have dependents in their household are subject to work requirements in order to receive SNAP benefits for more than 3 months in a 36-month period. The Emergency Food Assistance Program (TEFAP) is a program of the USDA and administered by the Indiana State Department of Health that provides commodity food that is distributed to local agencies through Indiana’s food banks. Mandatory commodities are provided at a level set by the Farm Bill, adjusted annually for food inflation. Bonus TEFAP commodities are provided when the USDA purchases surplus commodities to stabilize weak agricultural markets or purchase commodities to meet the Farm Bill specialty crop purchase requirement. TEFAP commodities are all American grown. Producers of commodities provided through TEFAP Bonus purchases receive an estimated 85 cents per dollar of Federal expenditures; producers of commodities provided through TEFAP mandatory purchases receive about 27 cents per dollar. By contrast, only about 16 cents of every retail food dollar goes back to the farmer. TEFAP food accounts for about 25% of the food moving through the network of food banks. Indiana financial eligibility requirements to receive TEFAP food from an agency are set at 185% of the federal poverty level. The Commodity Supplemental Food Program (CSFP) provides commodity food packages for low-income pregnant and breastfeeding women, other new mothers up to one year postpartum, infants, children up to their sixth birthday, and elderly persons at least 60 years of age who meet income eligibility requirements. Nearly 97% of program participants of this program are seniors. CSFP food packages do not provide a complete diet, but rather are good sources of the nutrients typically lacking in the diets of the target population, including protein, calcium, potassium, magnesium, several vitamins, and fiber. Because the program can only serve as many communities and seniors as funding allows, CSFP is limited. CSFP is available in some Indiana counties. Contact the Indiana State Department of Health for more information at 1-800-522-0874. The Summer Food Service Program (SFSP) provides nutritious meals and snacks to children in low-income areas during the summer months and long vacation periods for schools on year-round schedules. The program provides up to two meals or one meal and one snack per day per child at schools, churches, recreation centers, camps, playgrounds, parks, and other community sites. To find meals and sites in your community, call the National Hunger Hotline at 1-866-3-HUNGRY. To become a sponsor of a feeding site, contact the Indiana Department of Education at 317-232-0858. The Child & Adult Care Food Program (CACFP) provides nutritious means and snacks for low income children in child care and adults who receive care in nonresidential adult day care centers. It also provides meals to children residing in emergency shelters, and snacks and dinners to youths participating in eligible afterschool care programs. In day care centers, participants from households with incomes at or below 130 percent of poverty are eligible for free meals. Participants in centers with household incomes between 130 percent and 185 percent of poverty are eligible for meals at a reduced price. Adults who receive SNAP, Social Security Income (SSI), or Medicaid benefits are automatically eligible for free meals at nonresidential adult day care centers. For more information about CACFP, contact the Indiana Department of Education at 317-232-0851. Th e Special Supplemental Nutrition Program for Women, Infants and Children (WIC) provides nutritious foods, nutrition education (including breastfeeding promotion and support), and referrals to health and other social services to participants at no charge. WIC serves low-income pregnant, postpartum, and breastfeeding women, and infants and children up to age 5 who are at nutrition risk. WIC participants receive vouchers to purchase specific foods each month that are designed to supplement their diets with specific nutrients that benefit WIC’s target population. WIC foods include infant cereal, baby foods, iron-fortified adult cereal, vitamin C-rich juice, eggs, milk, cheese, peanut butter, whole-wheat bread, fruits, vegetables, dried and canned beans/peas, and canned fish. To be eligible on the basis of income, applicants’ income must fall at or below 185 percent of poverty. A person who participates or haw family members who participate in certain other benefits programs, like SNAP, Medicaid, or Temporary Assistance for Needy Families (TANF) automatically meets the income eligibility requirement. To be eligible, a determination of being at ‘nutritional risk’ must also be determined by a health professional. The National School Lunch Program (NSLP) is a federally assisted meal program operating in over 101,000 public and non-profit private schools and residential child care institutions across the country. Any child at a participating school may purchase a meal through the National School Lunch Program. Children from families with incomes at or below 130 percent of the poverty level are eligible for free meals. Those with incomes between 130 and 185 percent of the federal poverty level are eligible for reduced-price meals. The School Breakfast Program (SBP) operates in the same manner as the National School Lunch Program. Any child at a participating school may purchase a meal through the School Breakfast Program, and the income eligibility standards as NSLP. This project has been funded at least in part with Federal funds from the U.S. Department of Agriculture. The contents of this publication do not necessarily reflect the views or policies of the U.S. Department of Agriculture, nor does mention of trade names, commercial products, or organizations imply endorsement by the U.S. Government. 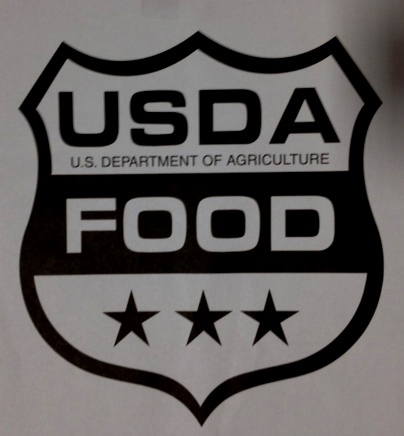 The USDA is an equal opportunity employer and provider. © 2019 Feeding Indiana's Hungry. All rights reserved.